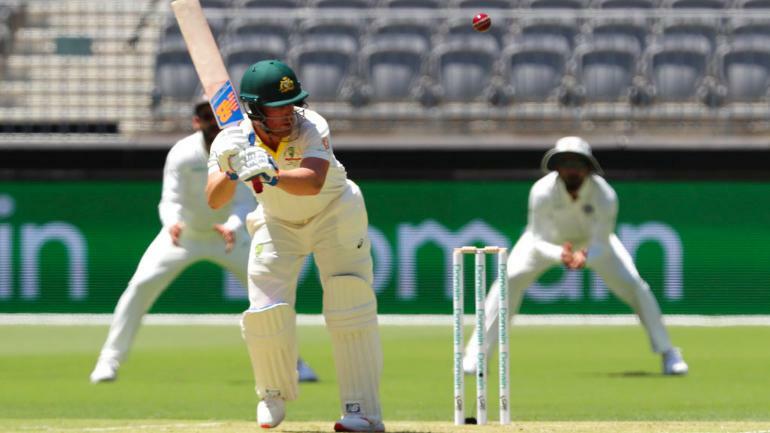 Ind vs Aus 2nd Test Day 1 Live Cricket Score Online, India vs Australia Test Live Cricket Score Streaming: The new stadium in Western Australia will move from the historic WACA to the Perth Stadium and switch from its regular programming of limited overs cricket to Tests for the first time. The green grass on the surface promises bounce and pace and for a change, it is Indian seamers who are primed to make the most of the conditions. India lead the four-match series 1-0 and the hunger displayed could well shift to the second Test. But, India have injury issues with Rohit Sharma and R Ashwin joining Prithvi Shaw in the sin bin. The 13-man squad threw up possibilities of Hanuma Vihari and Bhuvneshwar Kumar/Umesh Yadav or Ravindra Jadeja and Bhuvaneshwar Kumar/Umesh Yadav as the eventual XI. Australia, meanwhile, are an unchanged unit from the first Test.